Formosa Guide is a travel guide for Taiwan for anyone who cares about the effects of their travel. While it will feature common tourist sights and attractions, I aim to focus more on the culture, history and natural environment of Formosa, better known nowadays as Taiwan. Restaurants will always have vegetarian and vegan options available, and considerations will be made for effects of tourism on the local and global environment and indigenous populations, of which Taiwan has many. If you intend to come to Taiwan to spend up in trendy shopping malls you have come to the wrong place. If, however, you wish to have a great time here and leave with a deeper understanding of Formosa and all its inhabitants, this website should (eventually) provide much of the information you need. All photographs are taken by me unless specified otherwise. Most are taken using a Fujifilm X-A1, and edited in Photoeditor (Android) or GIMP. I run the Ubuntu operating system and use open source software as much as possible. No aspects of this website are made using any Apple Inc products, and nor will they ever be. All text and images are copyright Formosa Guide. If, however, you would like to use anything from this site, please contact me. This site is made using Google's blogger (because it's a system I am familiar with) but it is not intended to run as a blog. I was born and raised in New Zealand, and have lived in Taiwan a total of about four years, over the last seven. I have taught English at local schools, taught Physics at an international school and studied at a university here. I have also lived for three years in Japan. I run (advertisement-free) blogs on being vegan in Taiwan and Japan. While they aim to reach a different audience, some content (especially photographs) are used on both my Taiwan sites. 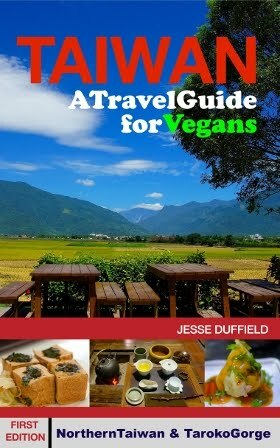 I am happy to answer questions about travel in Taiwan, however I get quite a few emails from this and my vegan blogs, and sometimes take a while to reply, so please get in touch as early as possible before you travel. Unlike my blogs, this is a commercial website, and I welcome ethical businesses to advertise on the sidebar or within the page text (as "sponsored content"). For more information please see the Advertise on Formosa Guide page. I choose to "partner" with Agoda because I've been using them myself for years, have had many things go wrong (usually my fault or the hotels) and Agoda have always been reachable and solved problems quickly and fairly. My most significant drama was when an overbooked hotel in Mumbai refused to honour my Agoda booking during a busy weekend of a nearby commercial exhibition. Agoda arranged (and paid the extra) for me to stay at a nearby four-star hotel instead. I've also booked for the wrong day several times, and Agoda have always changed the bookings immediately, with no charge. Agoda are also very secure secure; unlike other major online booking agencies they don't share your credit card details with the hotel but pay them directly, preventing unauthorised charges being made by the hotel, often after departure (a common complaint from other booking companies online). 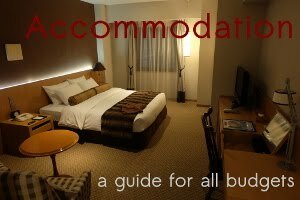 I receive a small commission on bookings made through this website, but it doesn't cost the customer any extra than booking directly with Agoda. Agoda's prices are also never more than booking with the hotel online directly, and are usually (but not always) cheaper than walk-in rates. During the week it is possible in Taiwan to just turn up to a hotel without a booking, but I recommend always booking hotels ahead for weekends or busy periods such as Chinese New Year well ahead of time. However I now virtually always book hotels ahead with Agoda when I travel in Taiwan for the convenience and security of knowing that I have a room reserved and paid for before I leave. Hotels are more than welcome to advertise on this website directly. The information in this guide is true and correct to the best of my knowledge at the time of writing. Please check official websites for more up--to-date information. All content is copyright Formosa Guide (2014-2016) and must not be reproduced without permission.